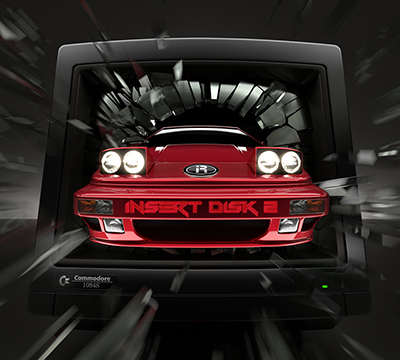 Indie Retro News: Insert Disk 2 album by Instant Remedy is now available for preorder! Insert Disk 2 album by Instant Remedy is now available for preorder! Some of you may find this hard to believe but I cannot write any articles without some form of retro tune playing in the background, it really gives that extra feel to writing about those classic games. We especially get some great feedback when it comes to chiptune albums such as Aaron White's releases or through our favourite station Roland Radio. But today we were informed that after seven years in the making, the latest album 'Insert Disk 2' by Instant Remedy is now available to pre-order! Available to pre-order from Dutch label 010101 Music (of "Paula Agnus Denise" fame). The album features 12 remixes of Amiga game and demo music, expertly mastered by Holger Lagerfeldt and will premier June 20th, 2015 at the Back in Time Brighton party. Also to coincide with this news we have a a rather special preview mix to show you in the above video as a teaser of what's to come in this fine album! Thus if you're interested head on over to the pre-order website for € 17.50 including worldwide shipping.